Autochthonous breed from Emilia-Romagna (Forlì province). 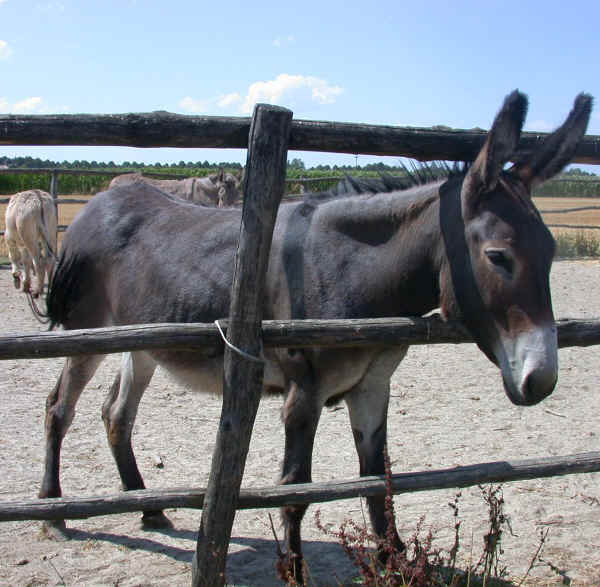 According to some researchers, this donkey would come from the Pugliese breed as well as the Martina Franca donkey and those from Marche, Basilicata, Calabria and Sicily. From the data contained in the General List of the studhorse and donkey stallions of the Royal Stallion Trust of Reggio Emilia in 1941 there were 46 stallions of this breed enroled for the region Emilia Romagna and Marche. The increasing farming mechanization, the depopulation of the hilly and mountain areas followed World War II together with the falling of the demand for mules determined the progressive decline of the breed, particularly from the 70s. From 1996 the Province Association of Breeders of Forlì-Cesena-Rimini has supported the rescue of this breed and has started a project for the building of a register of birth. At present less than a hundred examples are registered among the breeding of Forlì-Cesena, Rimini, Ravenna, Bologna and Reggio Emilia. It is therefore a breed at risk of extinction up to now.